A crowd favorite at the Silver Spurs Rodeo, Mutton Bustin’ is a fun event that only happens during our June Silver Spurs Rodeo. Serving as an additional rodeo event just for the little cowboys and cowgirls, Mutton Bustin’ is a family-friendly event that fun and entertaining for participants and spectators. During Mutton Bustin’, a sheep is held still by a few of our handlers and a child is placed on top of the sheep in a riding position. Most children will wrap their arms around the sheep’s chest and hold on to the sides of the sheep with their legs. Once the child gives nod, the sheep is released and they will dart off. There are no set rules for Mutton Bustin’ and no “winner takes all” scenario, unlike what you’d find in the traditional rodeo events. However, during our Mutton Bustin’ all participants will receive a Mutton Bustin’ belt buckle to remember their long, eight-second (or less) ride. Regardless of how long each participant actually holds on for, this a fan favorite event that brings just as many thrills and spills as the other major rodeo events. Our Mutton Bustin’ event is held just before the Silver Spurs Rodeo begins. 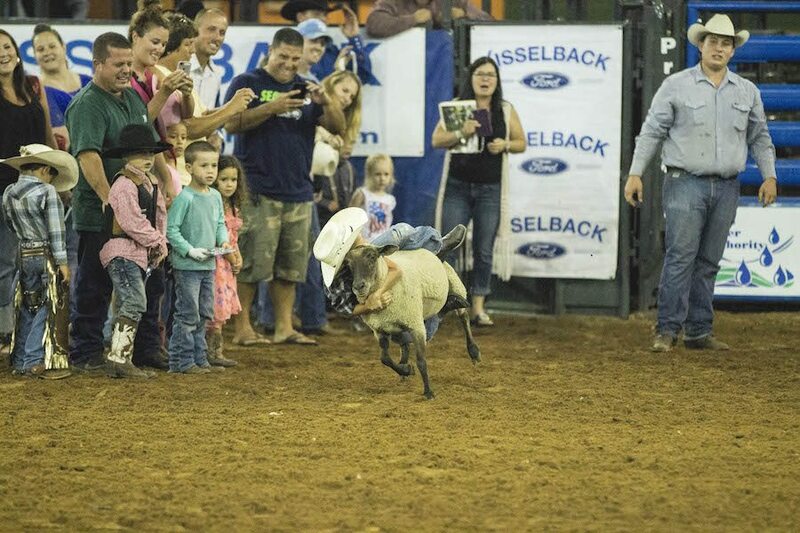 Spots for our Mutton Bustin’ are limited to 10 children per Silver Spurs Rodeo performance. Since spots are limited, we encourage you to sign up after the doors open. Sign-ups for Mutton’ Button are located at a table in the lobby. Children who would like to participate must be under six years old or weigh less than 40 pounds.